Pet adoption counselors are responsible for matching potential owners with appropriate shelter pets. 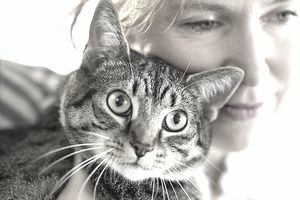 Typical duties for pet adoption counselors include screening potential adopters, reviewing applications, filing paperwork, observing interactions between pets and potential adopters, educating owners about proper pet care, training and supervising volunteers, setting up appointments for veterinary procedures, and processing adoption fees. Pet adoption counselors may also assist with a variety of other duties at the shelter such as processing donations, answering phones, updating records, filling out cage cards, ordering supplies, walking dogs, participating in obedience training, fundraising, giving tours, and helping with mobile adoption drives at off-site locations. Since many adopters work 9 to 5 jobs during the week, pet adoption counselors may be required to work some nights, weekends, and holidays as the adoption schedule demands. Mobile pet adoption drives tend to require evening or weekend staffing, though these are usually held as special events. Pet adoption counselors may find employment with animal shelters, humane societies, and nonprofit animal welfare organizations. They may arise from an entry-level position as a pet adoption counselor to a more managerial role such as pet adoption manager, facility coordinator, or animal shelter manager. A college degree is not necessary to begin a career as a pet adoption counselor, though it is a plus. Experience working with animals and a passion for rescue work will usually be sufficient. Many pet adoption counselors start out as volunteers. They may also transition from working as kennel assistants, dog trainers, pet groomers, or veterinary technicians. Since they will largely be concerned with administrative and customer service related tasks, pet adoption counselors should have experience using computer programs for record keeping and word processing. They should also be skilled communicators and be comfortable working with the general public over the phone and in person--a large part of the job is public relations. As with most careers that involve some direct contact with animals, pet adoption counselors should take care to follow proper safety precautions when interacting with adoptable pets, and they should monitor potential adopters to make sure they follow proper safety precautions to minimize the chances of an accident. The salary that a pet adoption counselor earns can vary based on their responsibilities, experience, and the region where the position is located. Most pet adoption counselor positions do yield smaller salaries than other animal careers, but this is one job where workers do it for the love of animal rescue and are not only focused on financial gains. Most pet adoption counselor positions listed on Indeed.com and SimplyHired.com ranged from $8 to $12 per hour or $16,000 to $24,000 per year. The number of shelters, humane societies, and animal rescue groups have increased steadily over the years to accommodate the rising number of unwanted or stray pets. According to the The American Society for the Prevention of Cruelty to Animals or ASPCA, shelters take in six million dogs and cats each year and place about half of those adoptable animals in new homes. There are approximately 5,000 community shelters currently operating in the U.S. There are 78 million dogs and 85 million cats owned as pets in the United States, which translates to 44% of all households have a dog while 35% have a cat according to the ASPCA. It is expected that more positions will be created for pet adoption specialists each year as more shelters are built and populated. Do You Enjoy Pets? Learn About a Career as a Pet Sitter. Would You Like to Be a Movie Animal Trainer? Would You Like to Train Animals Professionally?